At ThePixel, it really is “Our Speed. Your Success.” Those aren’t just words but actually something we strive for everyday. When your site succeeds and outgrows your current Web Hosting package, we can painlessly migrate you to the next package or even to one of our high performance Managed VPS plans or Dedicated Servers. Our amazing 24/7/365 support team fittingly named the Guru Crew is here to help. We strive to be different than those other Shared Web Hosting providers. We strive to be the fastest web hosting provider too. We’ve noticed this make it possible for us to provide a top-notch hosting experience for our customers. Not only do we allow caching with Memcached and APC so you get the fastest page load speeds, our exclusive Pixel Optimized tool lets you setup these solutions with 1-click. Those other hosts don’t even allow these caching tools on their shared servers and we give you a tool to help you set them up! Is this your first site? Our easy to use cPanel control panel will make your life easy. Easily manage your sites, software and email addresses all within the user-friendly interface. You can even 1-click setup the most popular software like WordPress, Joomla and Drupal called Softaculous! Are you an experienced developer? We load your account with all the tools you could want! You get everything from support for the best versions of PHP and MySQL to resources like free SSH access, version control software and so much more. You make amazing projects and need a Shared Hosting provider who can keep up. Trust us. We’ve been doing this since 2003. Get started now completely risk free with our web server hosting! You’ll soon see that we’re both the fastest web hosting provider and offer the best web hosting for small business. Shared hosting, also referred to as virtual web hosting, is a web hosting environment where individual hosting accounts are stored on a single web server, all of which share the same system resources like disk space, data transfer and server processing power. It offers a very affordable way to get your web site up and running because all the related server hosting costs are shared and spread out among the other users on the physical machine. A shared web hosting package is a great starting point if you’re looking to launch a new website or project and are not quite sure how much space or traffic it will require. ThePixel Hosting customers never pay account upgrade fees, meaning you can easily move up to a VPS or to a dedicated hosting account if you discover more server resources are needed than what is found with your shared host account. All ThePixel Hosting shared hosting accounts are pre-installed with the user-friendly and award-winning cPanel control panel. cPanel is loaded with everything you’ll need for easy management of your shared hosting account. As a shared host customer, not only does a shared host customer experience convenient, speedy account set up, but cPanel can get your website up and running within minutes. Softaculous is particularly helpful in getting your software up and running fast. You can install a number of the web’s most popular software solutions like WordPress, Drupal and Joomla with the click of your mouse. That means you don’t have to worry about download or setup files! 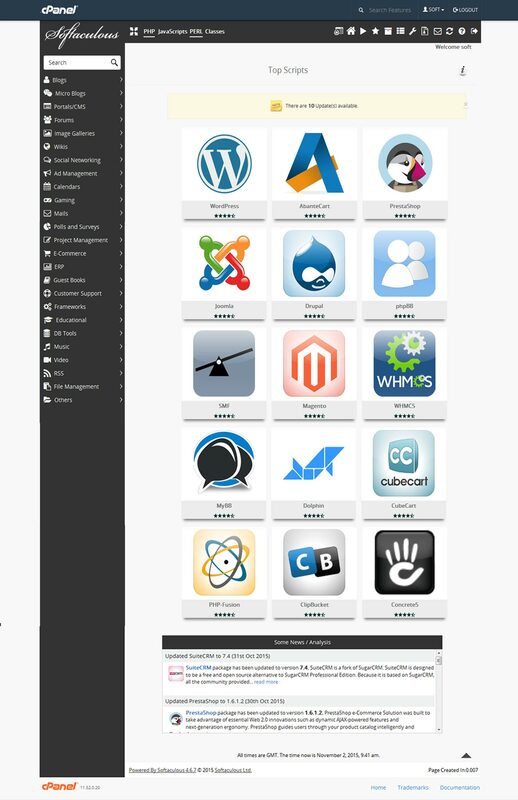 Install apps like WordPress, Joomla, Drupal and over 150 more with our 1-click installer. The latest technology like SSD, PHP7, CDN & more to make your customers websites load super fast. Online storage and file sharing allows you to share documents with anyone and upload your website media. Cutting-edge malware monitoring and remediation tools. Our website migration specialists will handle the entire website migration process for you. cPanel interface with tools that make it simple to manage your websites, domains, emails & more. Build and publish your website in no time at all with our easy-to-use design tool. ThePixel Hosting, the advantages of our shared web hosting packages are obviously speed. However, the other pros of these plans include affordability and convenience. Our shared web hosting environment means we can offer reasonably priced hosting plans because our customers are not only sharing server resources, but they are also spreading the cost of hardware, server maintenance, security updates and other factors among all customers on the server. As a ThePixel Hosting shared server hosting customer, you also do not have to worry about server uptime and technical support because that’s our job. Our shared web hosting packages come with an abundant amount of resources like disk space, data transfer and email accounts that are perfect for personal and small business websites. These are just a few of the reasons why we offer the best web hosting for small business. 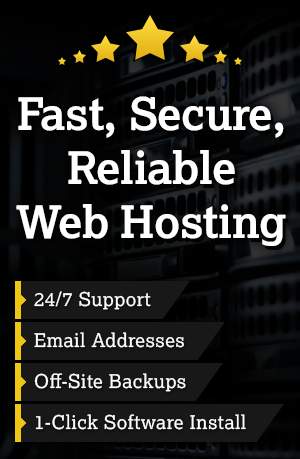 We pride ourselves on providing all of the above and more in our web hosting services. 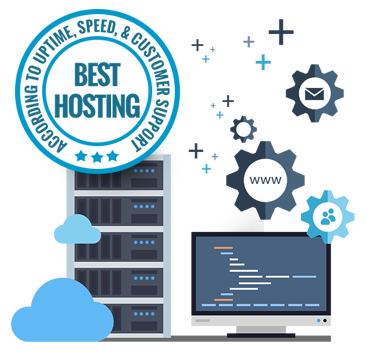 With 99.9% web hosting uptime, hosting services packages that grow with your business, and a renowned customer service, our domain hosting services are here to help your website succeed. Even though we offer the fastest web hosting, please note that each account on a shared server does not feature root access. Users looking for administrative level access should certainly consider our VPS Hosting plans.